English luxury brand Mulberry recently opened its first Asian flagship store just last week, located at Mandarin Gallery, in Singapore’s renowned shopping district along Orchard Road. The two-storey 3983 square foot store has been designed to reflect Mulberry’s dedication to craftsmanship and a sense of natural tactility, with limestone-tiled floors, curved timber follies and brass accents. The concept, designed by innovative British architects Universal Design Studio, is underpinned by the notion of contrast and duality, and manifested across of a series of open, informal spaces juxtaposed with smaller, intimate environments. The Singapore flagship store will stock the full collection of core and seasonal accessories, as well as womenswear and shoes. 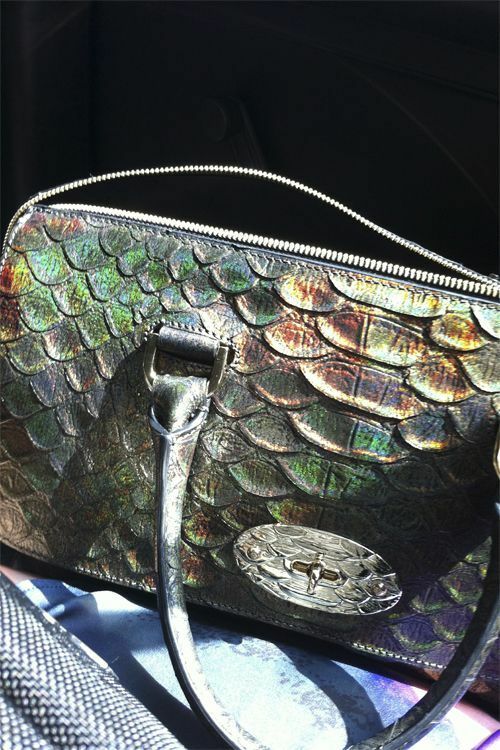 I received a runway edition Del Rey a while ago, in the most amazing large metallic snake print. This bespoke leather has been created with an embossed anaconda print which is then hand-cut to produce the scale texture. An iridescent metallic foil is then applied to the surface to give the finished effect. I love this bag to death. It goes amazingly well with everything. It's spacious, light, stylish and ultra-luxe. See how it gleams when the sunlight hits its surface. I mean, look at these two very different styling I did for the shoot. First is a more modern-edgy look which features a pair of wide legged mirror-print trousers from Mango and another is a rather feminine, power-suit feel. Here's another look, paired with my favorite Peplum Vest in Mustard Yellow from my label, Pnise24. You can view the complete set of photographs on Mulberry Blog. In case you didn't know, their blog is so addictive. Anyway, I love how these photo turn out. Taken at Marina Bay Sands, it's hands down the most beautiful, iconic spot in Singapore. 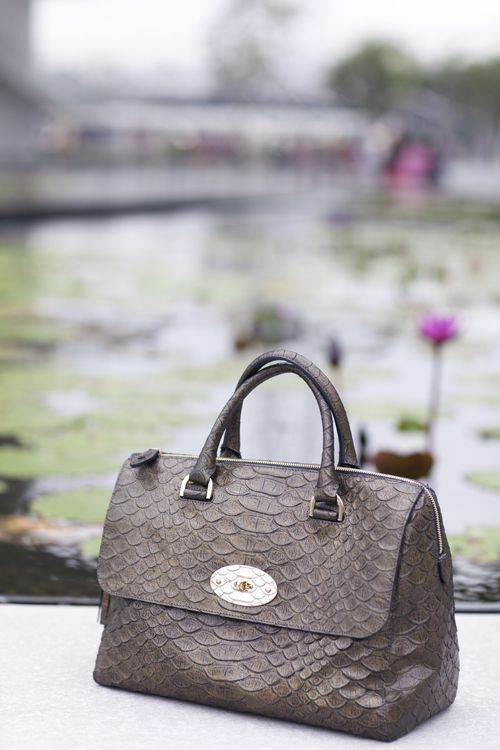 Now you can win an exclusive Del Rey in Mulberry Pink Glossy Goat Leather with Soft Gold components (SGD1999) pictured below, which is only available to buy from selected Mulberry stores in the Asian region, starting in Singapore. 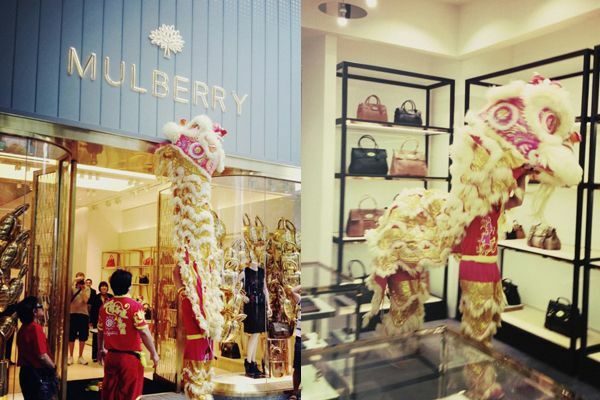 Where is the new Mulberry store in Singapore? Send your answers to poisepolish@mulberry.com with your name, address, contact details and answer. Remember, the contest runs from 22 October to 5 November. Only 1 entry per person is permitted, so don't miss your chance! 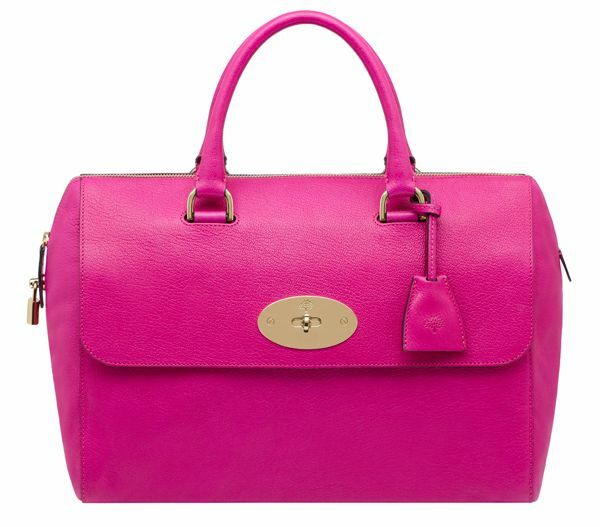 Winners will be selected at random and their prize will be sent directly from Mulberry’s head office. The winner of the competition is Jocelyn Tham from Singapore. Congratulations, girl! Amazing bag !!! love the pink one !! Gorgeous bag!! I love both ways you styled it. So in love with your Del Rey bag! and that pink one is such a darling! Depending upon the type of cheap christmas gifts you choose, whether it is a cheap, plastic wristwatch or an expensive, gold timepiece, swiss rolex can have a serious effect on your overall style. cheap prada handbags is not only a practical accessory to wear on your wrist in order to keep track of time; cheap chanel handbags can also complement your look and lift your confidence.